The Porsche Club of America (PCA) Club Racing Trophy East Series kicked off its 2018 season with three exciting races at PCA’s Peachstate 225 at Road Atlanta over the weekend. More than 20 drivers competed over the weekend after the series added additional Porsche car classes for the season. Competitors received points based on finish in each of the new six classes – TE4CS (Cayman GT4 Clubsport entries), TE4CSM (Cayman GT4 Clubsport Masters), TE5 (997 GT3 Cup entries), TE5M (997 GT3 Cup Masters), TE6 (991 GT3 Cup entries), and TE6M (991 GT3 Cup Masters). Saturday morning’s Sprint 1 was chilly and wet but 2017 series champion Curt Swearingin, representing the Tennessee PCA Region in his No. 1 TE6 entry, had no problem with Road Atlanta’s 2.54-mile, 12-turn road course in the rain. The ACI Motorsports driver won Sprint 1 in the TE6 class and overall with the fastest lap time of the 30-minute sprint race of 1:38.430. Series newcomer Jack McCarthy came in second place in his No. 19 Speedsport Tuning TE6 entry with Swearingin’s new teammate and Peachstate PCA Region member, Richard Edge, coming in third in the TE6 class. In the TE4CS class, series veteran and 2017 third place champion Alejandro Galindo came in first place in the class and fourth overall in his No. 17 Cayman GT4 Clubsport entry. ACI Motorsports’ Efrin Castro came in second with Autometrics Motorsports’ Noël Brown coming in third in class. Other winners included series newcomer Glenn Schattman in the TE5 class and Charlie Craig in the TE4CSM class. BGB Motorsports competitors Jim Cox, Tom Collingwood, John Tecce and Bruce McKee are back for the season, with McKee’s daughter – 18-year-old Sydney McKee – sharing the car with her dad. The sole female competitor of the weekend came in ninth place overall in the No. 87 Cayman GT4 Clubsport MR entry and fifth in the TE4CS class in Sprint 1. Longtime PCA Club Racing veteran Rafael Llopiz dominated in Sprint 2 after joining the series with his No. 02 TE6 entry this year. Due to an issue in Sprint 1, Llopiz qualified last in the TE6 class, but slowly gained traction on the other drivers throughout the race – passing all five other TE6 competitors to gain a first-place finish. His fastest lap time was 1:26.760. ACI Motorsports teammates Edge and Swearingin came in second and third in the TE6 class, respectively. In the TE6M class, series newcomer Pierce Racing Development’s Gary Jensen finished first (sixth overall) and Schattman once again won the TE5 class. TE4CS driver Castro gained his first-ever win in Sprint 2 with Galindo coming in second and McKee in third. Galindo’s NOLAsport teammate, John Crosby, won the TE4CSM class with Connecticut Valley Region member Craig coming in second and David Peterman, representing the Northeast PCA Region, rounding out the podium in third. 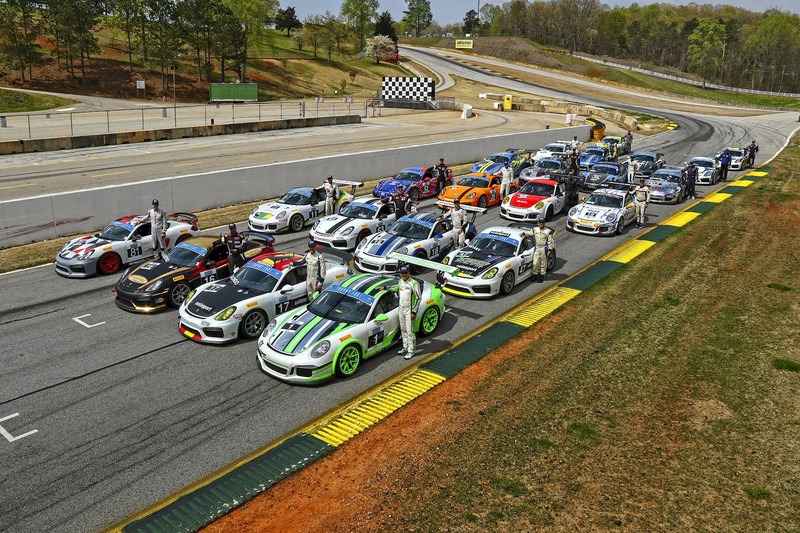 Trophy East competitors finished off the weekend with an 80-minute endurance race Sunday afternoon at Road Atlanta. Connecticut Valley PCA Region member McCarthy won the race overall and in the TE6 class with Swearingin coming in second and series newcomer Seth Davidow coming in third in his No. 77 entry, which marked his first top-three finish of the weekend. In the TE4CS class, NOLAsport teammates Galindo and Crosby came in first and second, respectively, with BGB Motorsports’ Collingwood and Tecce rounding out the podium in third. Father and daughter duo Bruce and Sydney McKee narrowly missed a top-three finish – coming in fourth place in the class. Following the race, PCA included podium recognition for the top three drivers from each class – rounding the points from all three races over the weekend to determine the top drivers. Overall event winners included: Swearingin, McCarthy and Edge in the TE6 class respectively, Jensen and TOPP Racing’s Ken Finch in the TE6M class respectively, Schattman in the TE5 class, Galindo, Castro and Brown in the TE4CS class respectively and Crosby, Craig and Peterman in the TE4CSM class respectively. Next up, the PCA Trophy East Series will head south to Barber Motorsports Park in Birmingham, Alabama for the next event weekend May 18-20.